Rory P. Pheiffer, an associate in the Intellectual Property Department, spoke on a panel at the Boston Bar Association’s (BBA) “Practicing with Professionalism” program on February 6. 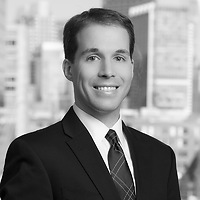 The Boston Bar Association is an approved provider of the course, as required by Massachusetts Supreme Judicial Court Rule 3:16 on Practicing with Professionalism, which requires a mandatory course on professionalism for new lawyers admitted to the Massachusetts bar, effective September 1, 2013. The panel addressed how to respond to the pressures of practice that challenge even the most reputable attorneys to behave with civility. Attendees learned from the specific experiences of the panel about how they might respond to the challenges in a professional manner.